If you watched the movie, Amazing Grace, you’re acquainted with William Wilberforce and his role in ending the slave trade in Great Britain. The movie was, of course, fiction. Like all fiction it required a hero, a conflict, and a clear resolution. Real life is rarely that tidy. Amazing Grace is on the whole accurate for a film of its type (historywatchdog.wordpress.com gives it 8 out 10 on the accuracy scale) The actual events, however, were much more complex than portrayed. Many people including Quakers such as Anthony Benezet, Joseph Sturge, and William Allen; former slaves such as Ignatius Sancho and Ottobah Cugoano; and others such as Hanna More and Thomas Clarkson and, yes, Wilberforce, worked tirelessly for many years to simply educate people. In a world without the Internet, television, and other easily accessible mass media people could remain blissfully ignorant about the human suffering behind the cotton in their clothing or the sugar in their tea. The abolitionists’ first task was propaganda. They refused to let people look the other way. The second task involved using pubic outrage to lobby parliament. Wilberforce led the fight in parliament. Their first target was the buying and selling of human beings. 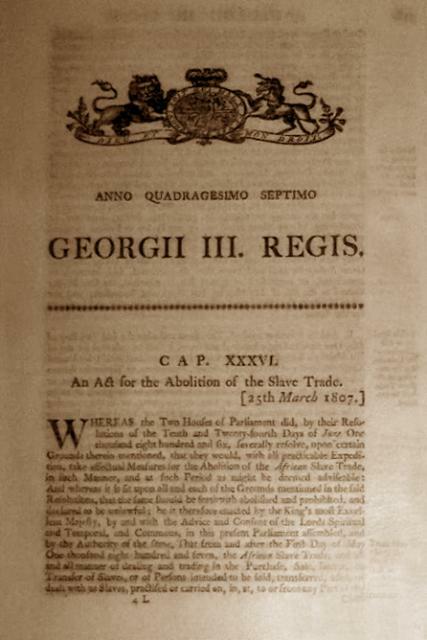 The Slave Trade Act of 1807 abolished the trade, particularly the Atlantic slave trade. While a great victory it did not abolish slavery itself. Neither did it ensure enforcement of the act itself. The initial punishment for the trade was to fine the captain of a ship engaged in the trade £120.00. All trade was to end on January 1, 1808. A squadron of vessels sailing out of Devon had the task of intercepting slavers and enforcing the law. In 1811 the punishment got more teeth. Parliament declared participation in the trade a felony, punishable by transportation. A new war with America (the War of 1812) cut the work of the squadrons short. All vessels were pulled to participate in that fight. Britain did not establish a permanent squadron with a dedicated base until 1816. With enormous profits to be made, many simply took the risk and the trade continued. In my next novel, Dangerous Secrets, the hero, Jamie, bears a terrible shame. Saddled with a bankrupt estate and with a mother and sister to support, he looked the other way when two unscrupulous businessmen asked him to invest in a ship. He didn’t think to ask how a simple trade in sugar and rum could yield profits as enormous profits as the ones they promised him. Only when the ship went down killing 132 Africans chained below deck does he realize what he had done. He flees to Rome rather than let his friends know how he allowed himself to be drawn into the evil trade. The year is 1820. The scenario is all too plausible. Where big profits could be had, unscrupulous men were willing to risk the consequences. 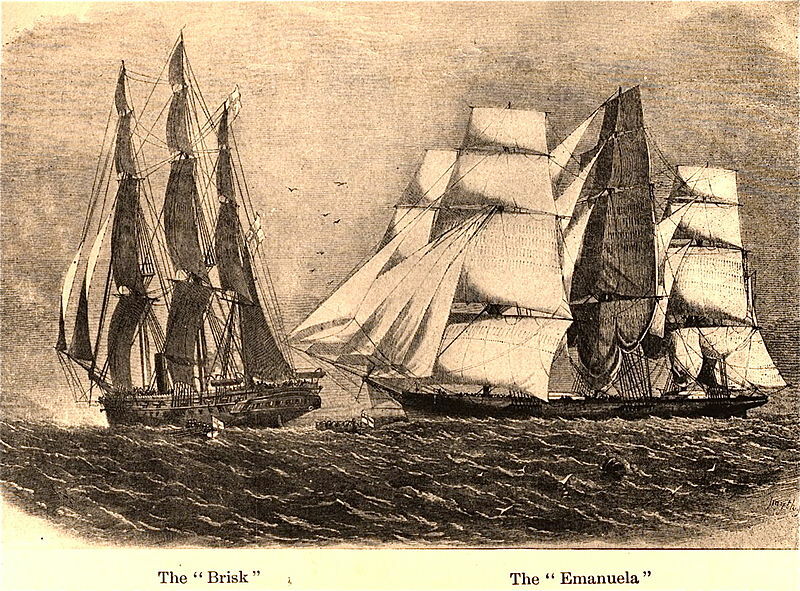 In the years after the establishment of the African squadron, the abolitionists continued to work diligently, educating and lobbying. It had become obvious that the trade would prosper as long as slave economies in the British Caribbean colonies and in North American needed labor. While treaties as early as the Congress of Vienna decried the trade, it continued. Sentiment grew to oppose slavery itself. 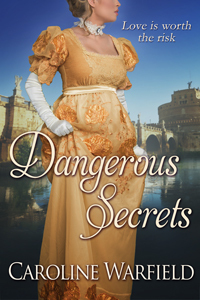 In Dangerous Secrets the heroine describes her involvement in anti-slavery activity in Dorset. Dorset was the home of Thomas Fowell Buxton who was speaking out on the issue as early as 1816. 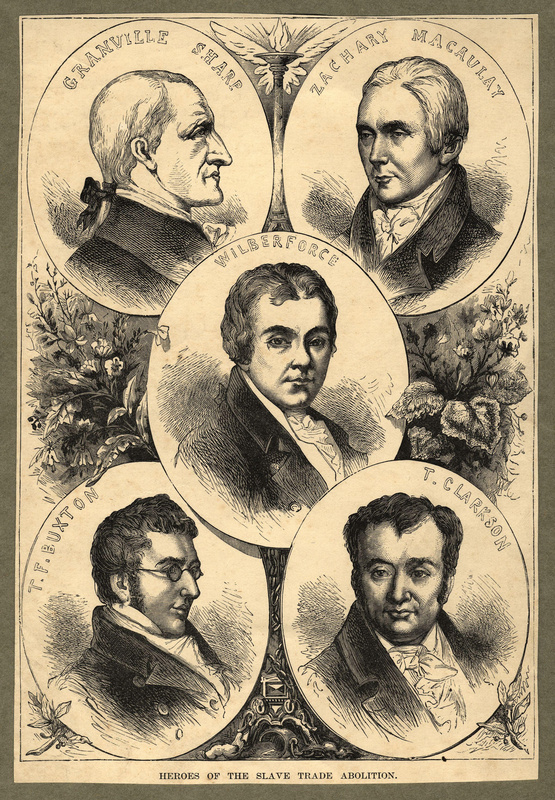 In 1823, Buxton, Thomas Clarkson, William Wilberforce and others form the anti-slavery society. They continued the educational efforts, publishing the memoirs of free and escaped slaves, public speaking, and writing. Buxton took over much of the leadership in Parliament from an ailing Wilberforce. It took until 1834 to finally pass the Abolition of Slavery Act that finally abolished all slavery throughout most of the British Empire. Territories controlled by the British East India Company and in Ceylon retained slavery until 1843. In 1840 Joseph Sturge organized the World Anti-Slavery Convention in London. Among the attendees, in spite of earlier opposition to participation by women, was Lucretia Mott of Philadelphia. Thomas Clarkson, the grey haired central figure addressed the convention. He lived to see the abolition in 1843. Wilberforce died in 1833. This is a great posting as I have begun studying the Atlantic Slave trade, to learn more than what was taught in American Schools. I had never known about William Wilberforce. Thanks again! Great post, Caroline! Your novel, Dangerous Secrets, is in good company! You may remember that in Jane Austen’s Mansfield Park, the issue of shame and denial regarding the family’s participation in slavery was a key plot element. Your post has piqued my imagination with regard to US history. If we had lost the War for Independence, would we have avoided the most costly war in US history in terms of loss of life? The answer would appear to be yes. There would not have been a US Civil War. Wonderful post, Caroline. I love it when I can learn new aspects of history. Your new novel sounds like a winner. But to counter Linda’s point on the Civil War, if we’d lost the War For Independence, would we be the nation we are today? I think not.